Vipul Maheshwari has been practicing since 1992 in various areas of law providing PAN India services with specialization in corporate laws, joint ventures & strategic alliance, Capital Markets, Merger & Acquisitions and Corporate Restructuring. He has been advising various foreign companies including many fortune 500 companies in successfully establishing their business in India. 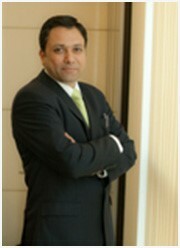 He provides assistance to international companies entering the Indian market with specialized advice in mergers and acquisitions, joint ventures, commercial agreements, financing, private equity and dispute resolution. He has handled several high profile litigation matters over the years before the Supreme Court of India, various High Courts and Tribunals. His expert knowledge in various areas of corporate laws has him invited as speaker at various national and international conferences. He holds the Membership of various Legal Associations like Inter Pacific Bar Association and International Bar Association; Indo American Chambers of Commerce, Union International Des Advocat, International Law Association, Supreme Court Bar Association; PHD Chambers of Commerce and Industry; Federation of Indian Chambers of Commerce and Industry; International Center for Alternate Dispute Resolution; Indian Council of Arbitration; Confederation of Indian Industry and various professional Associations.